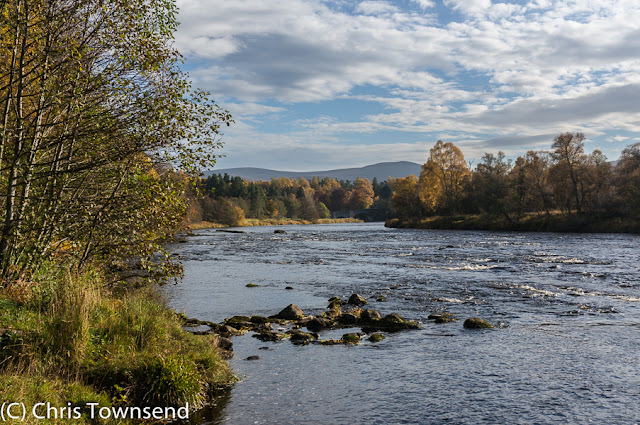 Two days, two very different walks in the Cairngorms National Park. 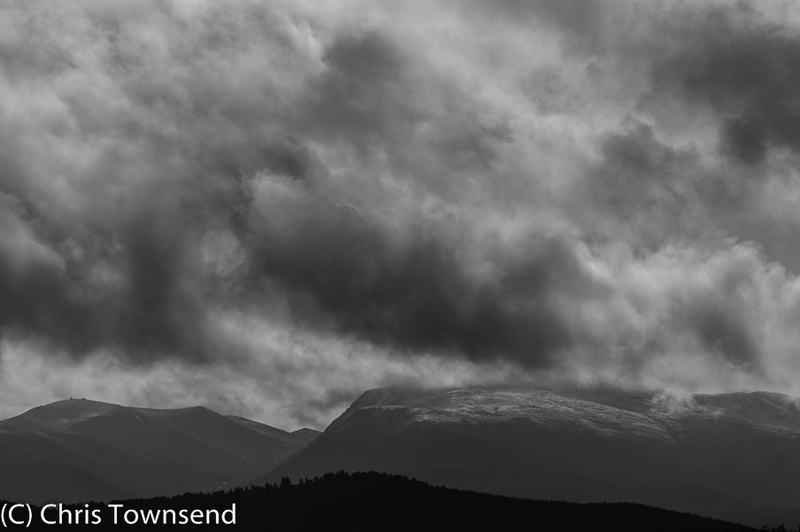 In blustery showers and a cold wind I wandered over the Cairngorm Plateau. 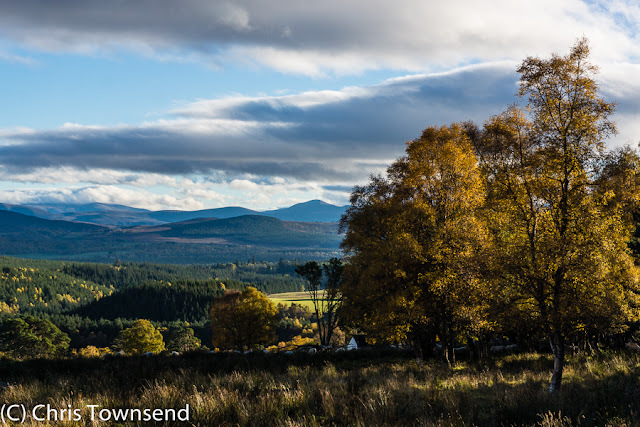 The hills were brown and grey, warm in the shifting sunlight, cold under the dark clouds. The air was sharply cold and wintry, but the land was bare, the brief snow of last week long gone. Only a scattering of remnant patches of last year’s snow suggested the winter to come. 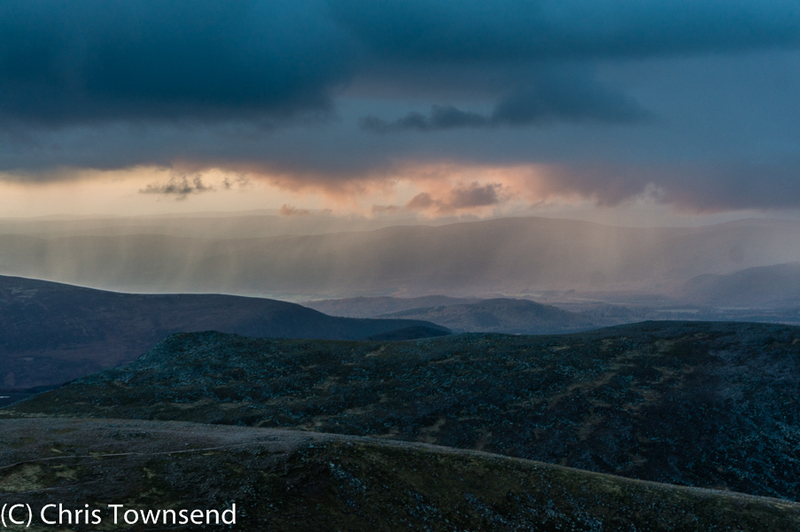 Squalls of rain blasted past, often lasting only seconds. 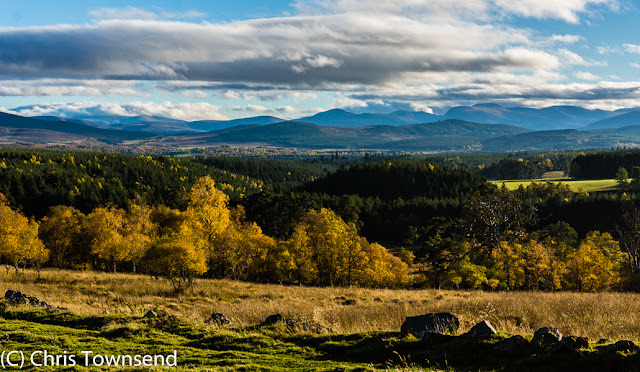 Out over Aviemore I watched a series of them racing down Strathspey. 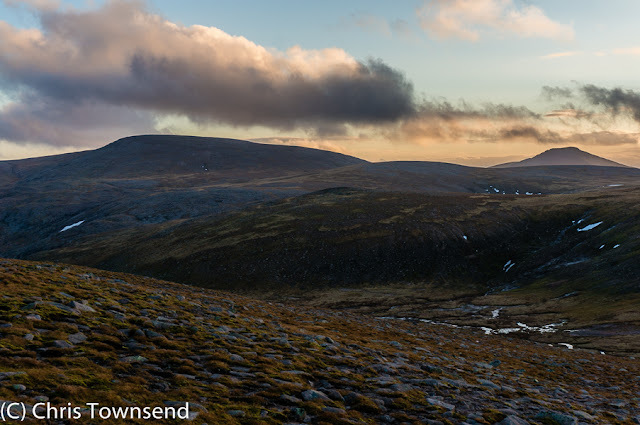 At dusk there was a hint of pink but the clouds quickly closed in and I descended from Cairn Lochan under an overcast sky. 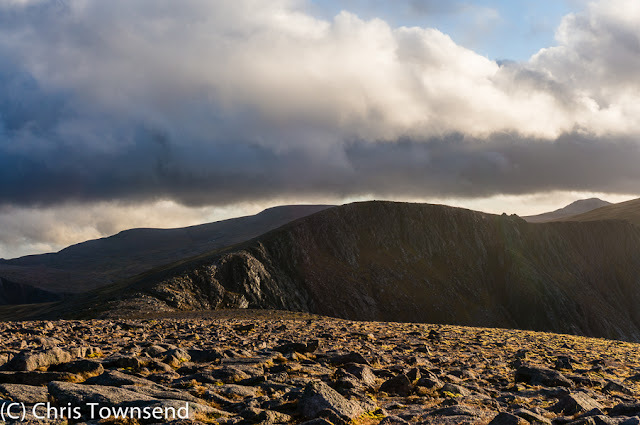 Yet so fast was the wind changing the sky that by the time I was crossing the mouth of Coire an t-Sneachda the clouds had gone and the first stars were appearing. 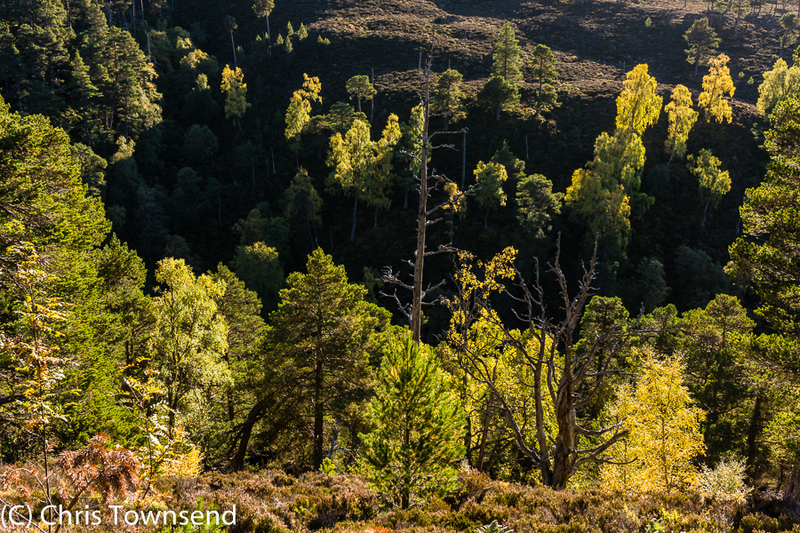 Looking down to the woods of Glenmore and Rothiemurchus I could see bright bursts of yellow and orange amongst the dark sombre pines. 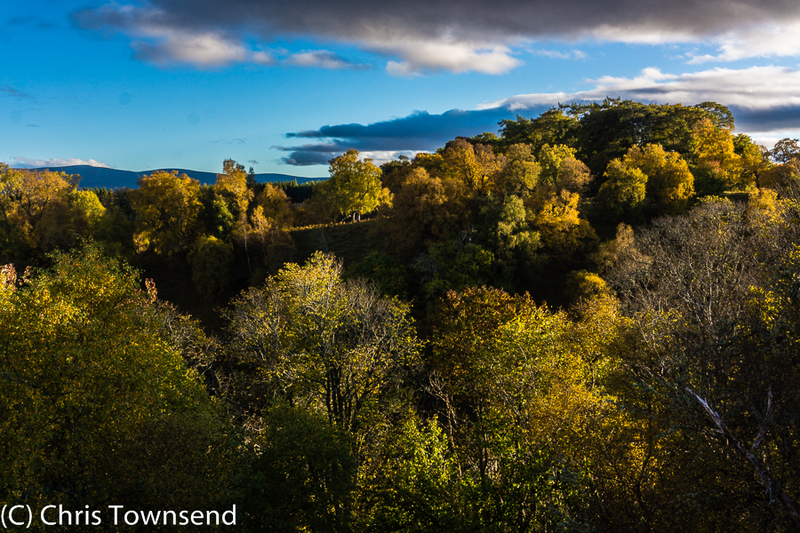 Despite the strong winds the autumn colours are not over. The next day I walked along the River Spey at Grantown-on-Spey, its banks a mass of brilliant colour. 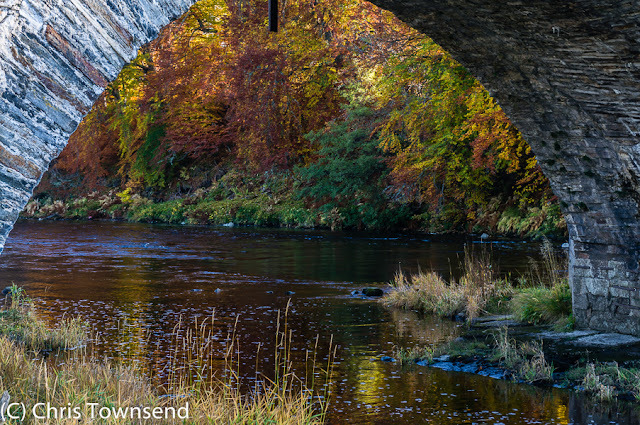 The water was dark and swirling, full from recent rains. 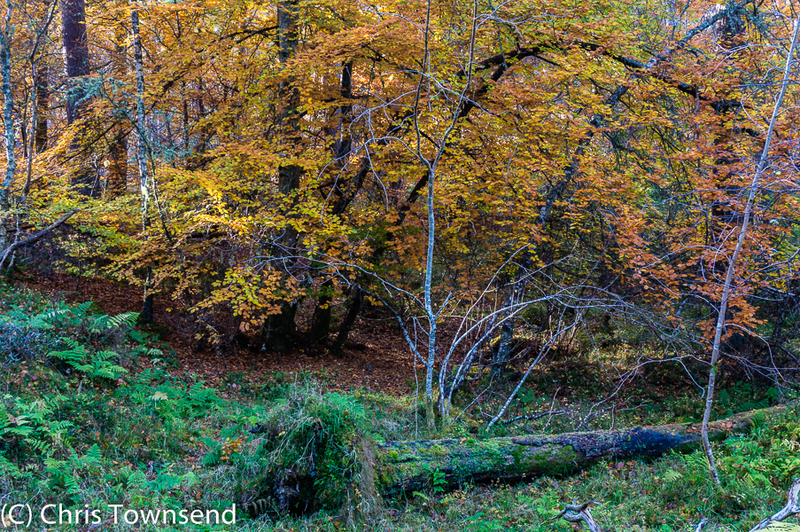 In Anagach Woods the beeches were copper and gold, shining out amongst the dark confines of the tangled trees. It’s been a glorious autumn. Ladhar Bheinn & Loch Hourn. Coire Dhorrcail is in the centre of the picture. 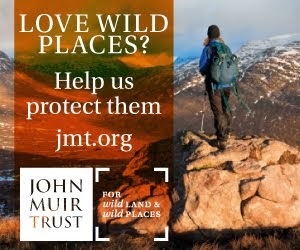 Back in 1987 the John Muir Trust bought its first property - Li and Coire Dhorrcail on the magnificent mountain Ladhar Bheinn in Knoydart. Overgrazed by deer and sheep the land was bare of trees. 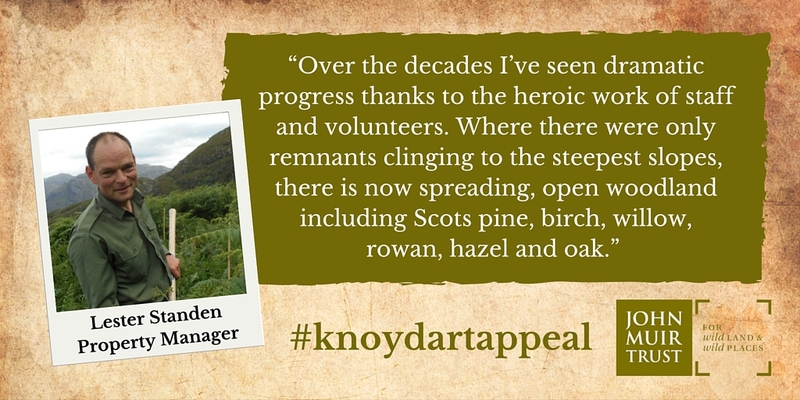 In the 25 years since then the Trust has reduced grazing pressures, allowing trees to regenerate, and planted native trees. The forest is returning but much more needs to be done. 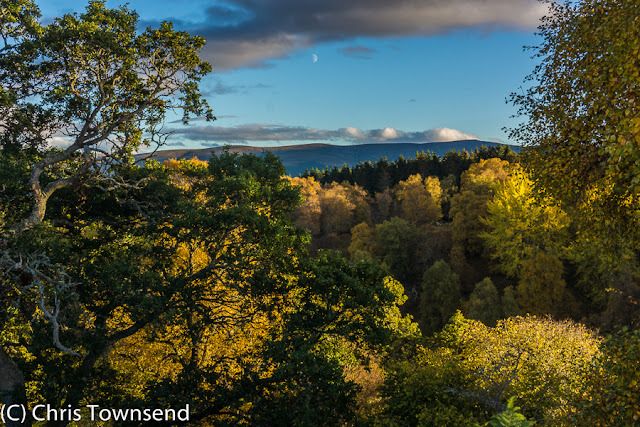 Over the next four years the Trust wants to plant 50,000 more trees and collect seeds to establish more tree nurseries. To carry out this work requires funds and the Trust has launched the Knoydart Appeal to raise £60,000. 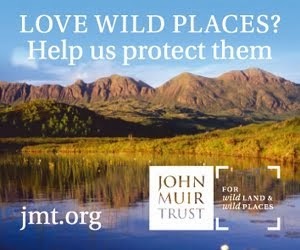 It's well worth supporting by anyone who loves wild places. A stormy week ended with the first covering of snow on the High Cairngorms, rather later than in many years. Down below the glorious autumn colours are reaching their height. October 24, the first snow. On a fine evening after a day of rain and wind I wandered round the local woods admiring the brilliance of the trees. Some are still green, their glory days to come. A few have already lost all their leaves. Rather more are gold and yellow. Here are some of the photos I took. A few days ago I took advantage of the fine October weather to camp high in the Cairngorms on a glorious frosty night. 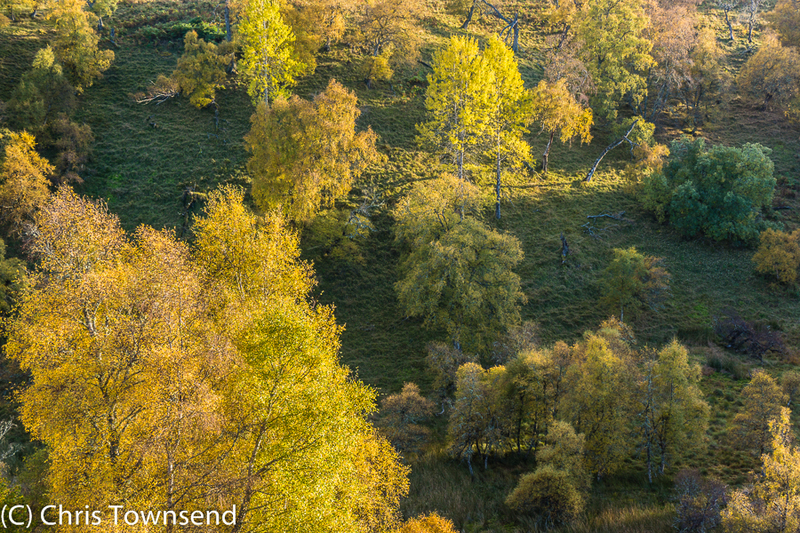 The birches glowed gold and yellow in the low evening sun as I followed the path through the woods and out on to the open hillside above Glen Feshie. 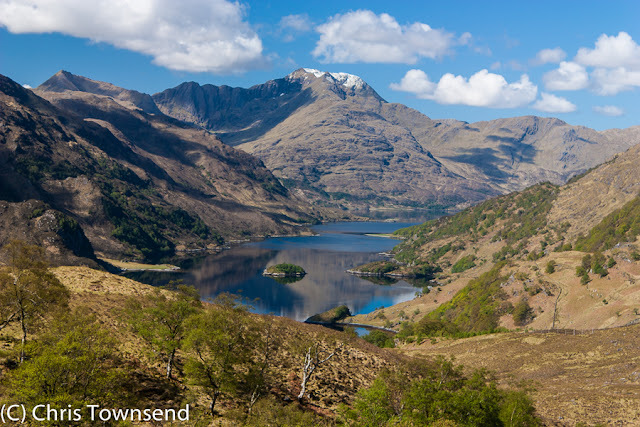 The air was warm and still and I was soon damp with sweat as I climbed steadily towards the long broad ridge high above and the summit of Sgor Gaoith. 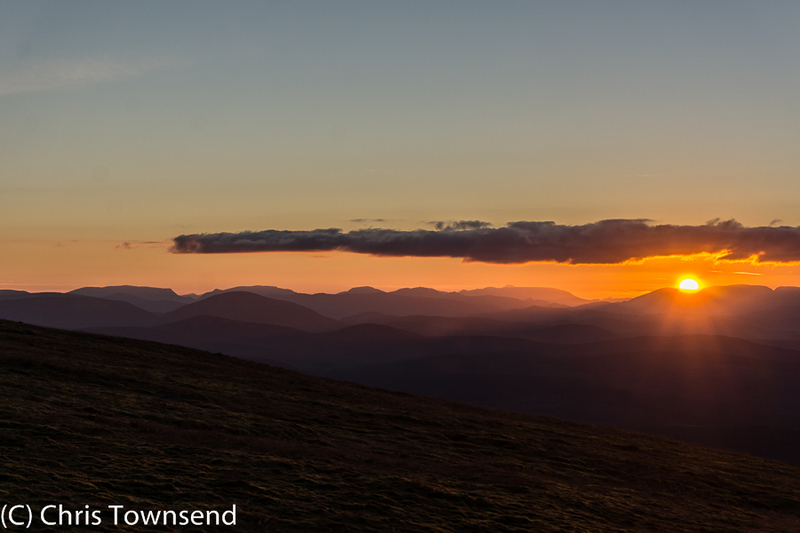 I reached the shoulder of the mountain just as the sun was setting. The air cooled rapidly as a crescent moon hung above the fading remnants of a bright sunset. 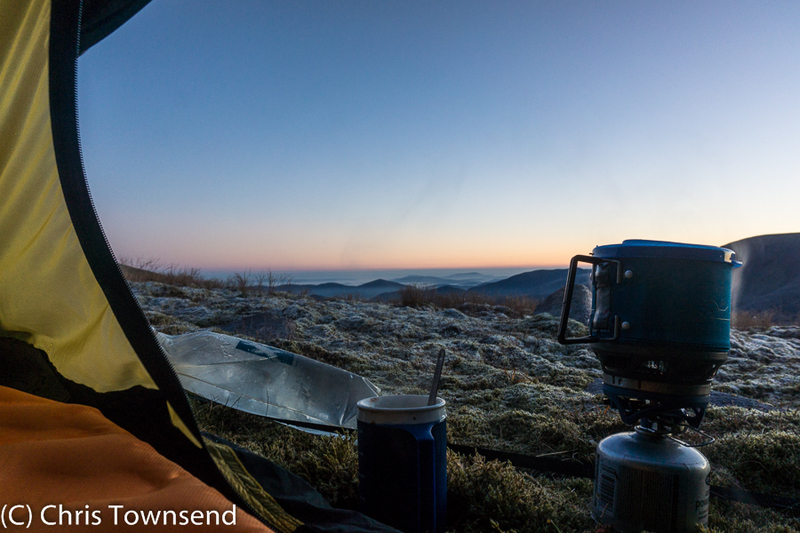 I was soon in my sleeping bag and firing up the stove for hot soup. 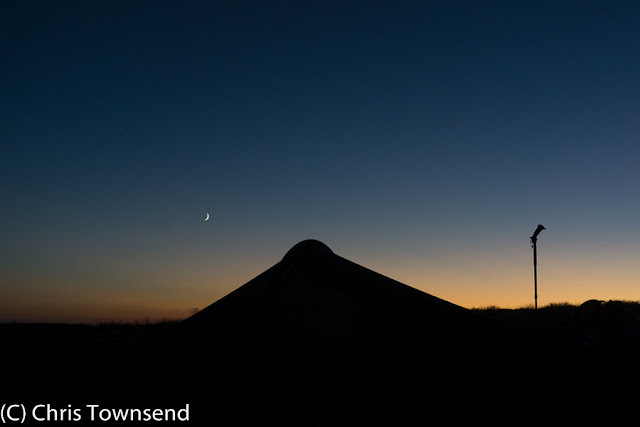 An occasional breeze drifting into the tent and chilling my face woke me a couple of times during the night. Through the open door I could the constellation of Orion on the horizon and high above the dense curving band of the Milky Way. Awake before dawn I watched the eastern horizon turn a hazy pink. 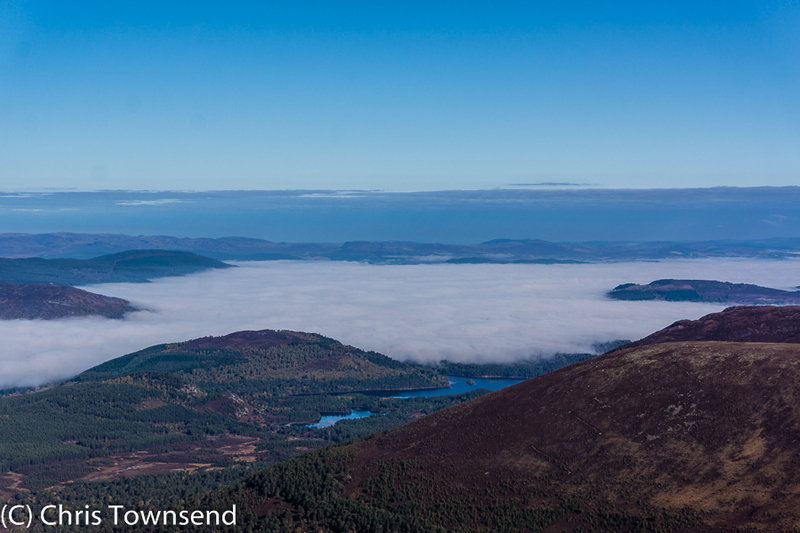 Cloud filled the glens far below. Up here the ground was white with frost. 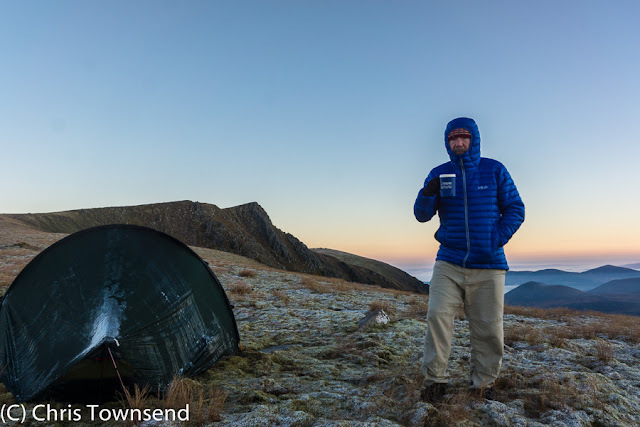 The tent door crackled as thin slivers of frozen condensation slid off. My pot steamed on the stove as dampness on its sides evaporated. Once the sun appeared the air heated up quickly, though the frost remained everywhere out of reach of the sun. From Sgor Gaoith I looked down to shaded, cold Loch Einich and west to sunny sharp peaks – Ben Nevis, Creag Meagaidh – rising above the clouds. Heading down a long spur I watched the cloud below rising and falling, advancing and retreating over Loch an Eilein and Rothiemurchus Forest. 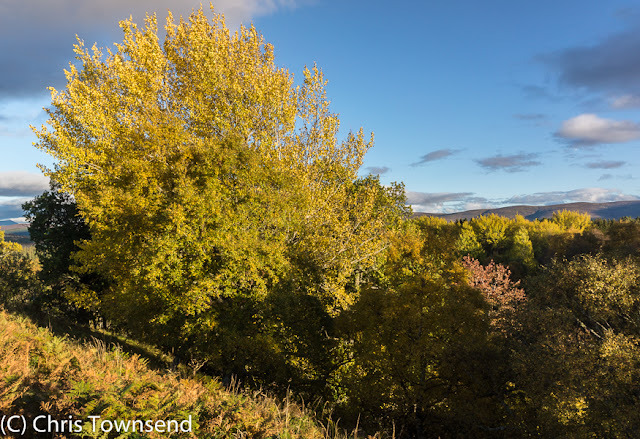 It was dissipating fast when I reached the first trees and my walk ended as it had begun, admiring the autumn birches shining in the sun. 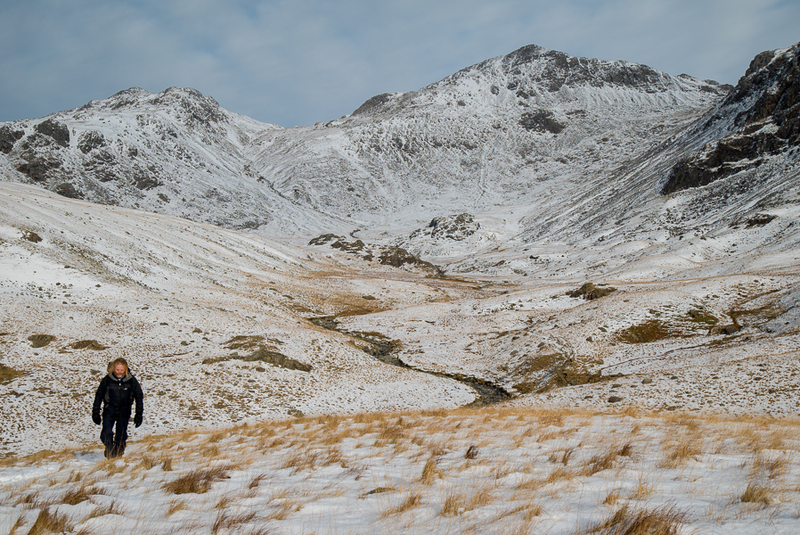 Upper Eskdale is the wildest and the most spectacular valley in the Lake District, at least in my opinion. And now my good friend Terry Abraham has made a video about it that’s just come out on DVD. The video features local mountain guide David Powell-Thompson on three walks in the area – day trips on Harter Fell and Hard Knott and a two day trip with a high camp on Esk Pike and Bowfell. As expected from Terry the Lake District looks spectacular with wide sweeping shots of the landscape and quite a few dramatic aerial views. The highlights are the beautiful dawn and dusk shots from the camp near Esk Hause but there are also splendid scenes of the lush greenness of the Lake District in summer on the Harter Fell walk and the chilly snowy landscape of Hard Knott in winter. 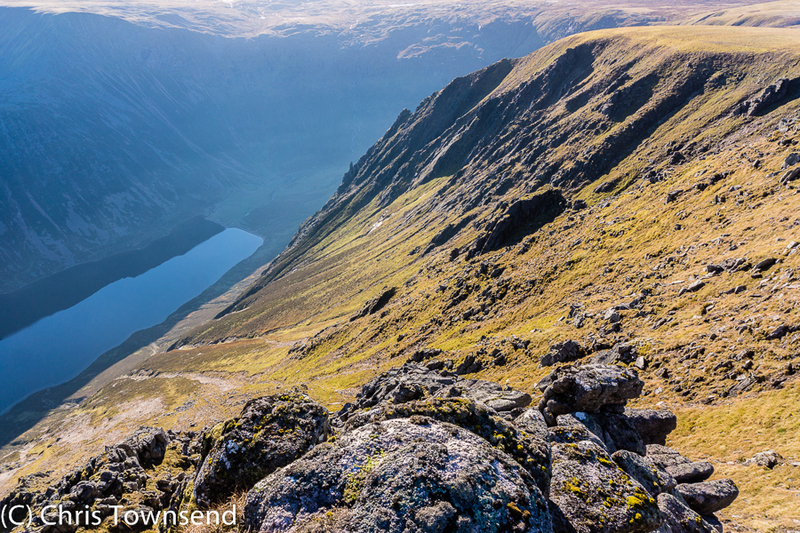 In just three walks in one area every aspect of the Lake District fells is captured by Terry, showing the huge contrasts that occur during the year. 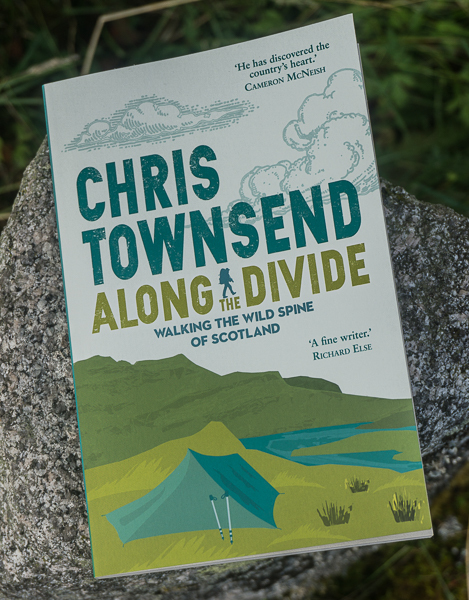 David Powell-Thompson proves an amiable and knowledgeable companion as he describes the walks and the magnificent views from each summit along with wide-ranging comments covering geology, mining, local history, Sherpa Tensing, Beatrix Potter and more. He also goes bouldering on the Samson Stones and visits Charnley Crag Cairn. 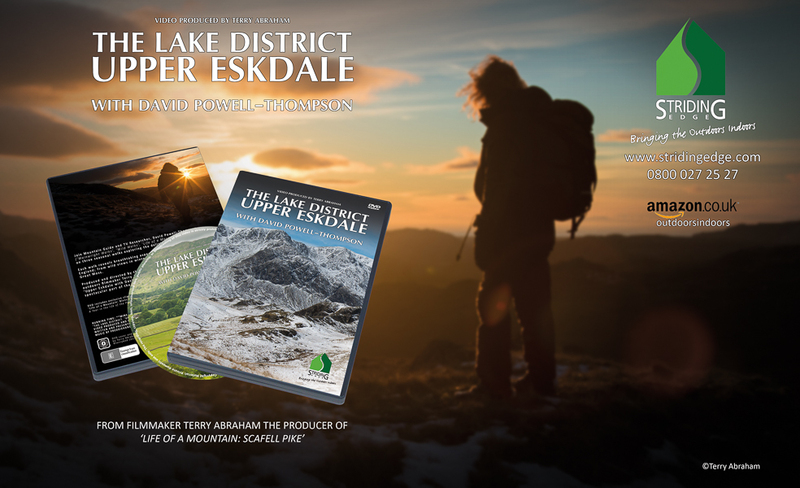 For anyone who loves the Lake District this is a superb DVD that will bring back many memories and inspire you to visit the hills again. It’s also a joy for the increasing number of Terry Abraham fans and a worthy addition to his growing body of work. Highly recommended. 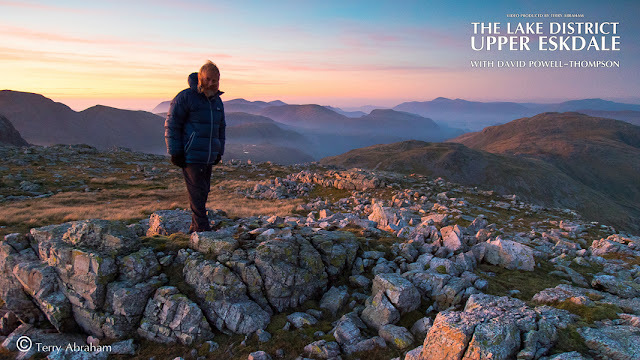 The DVD will be £14.99, available from the end of October from www.stridingedge.com and their Amazon UK store 'OutdoorsIndoors'. Note: I am of course biased, having made two videos with Terry myself and appeared in his hugely successful Life of a Mountain: Scafell Pike – winter camping in Upper Eskdale in fact. That said, I think he is one of the most original current outdoor film makers and gives a cinematic feel to treasured landscapes and brings out their real glory. Having had nothing to do with this video whatsover it was a real pleasure to be able to watch it simply as a fan.